Couldn't find links on Internet. 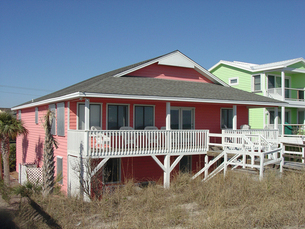 Address: 518 N. Shore Dr.
708 Ft. Fisher Blvd N.
"Sugar Shack" Enjoy the expansive view from the covered porch of the 5 bedroom, 3 bath oceanfront home. The main level has the master bedroom with private bath, 2 additional bedrooms with 1 bath, well-equipped kitchen/dining area. The ground level features a considerable sized young adult bedroom with TV/VHS/DVD/PLAY STATION II and games, additonal bedroom and bath. #c138 - Fishburne - $4200 - No pets. 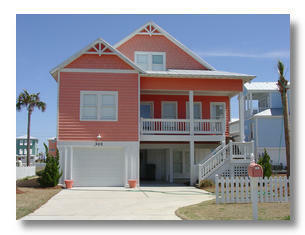 plus jaccuzzi style tub and double headed shower; and 2 additional bedrooms with 1 full baths. and off street parking for 2 cars per side. 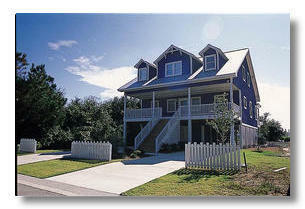 Spend a week in one of Kure Beach's newest development. Lay around the pool, enjoy a game of tennis or just step over to the beach from your private oceanfront beach access. Enjoy the open design that showcases spectacular views of the ocean. This home features a spacious kitchen and multi-level decks. Beautiful hardwood flooring throughout. Almost every imaginable amenity is available. Truely a unique vacation experience. Sea Watch!!! This home features 6 bedrooms and 4.5 baths. The ground level has Bedroom/den with a queen sleeper sofa, TV and DVD. The upper level has kitchen - Dining area, Living Room and Master Bedroom. 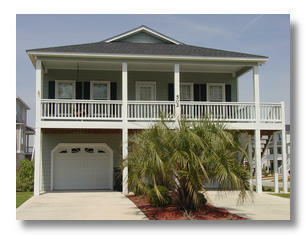 The upper level has 4 bedrooms and 2 additional bath. This home over looks the pool area and is perfect for a memorable vacation. Beds: B#1,K; B#2,K; B#3,Q; B#4,Q; B#5,Pyramid bunk; B#6,Pyramid bunk. 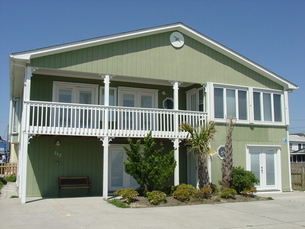 Luxury 3 level, ocean view townhouse only a few steps away from the Public Beach Access. This home features 6 bedrooms and 4 full baths. Entering into the lower level there are 2 bedrooms and one bath. The second level has the main living room, dining area with hardwood floors, a well-equipped kitchen with granite countertops, and all new stainless appliance, one additional bedroom and full bath. 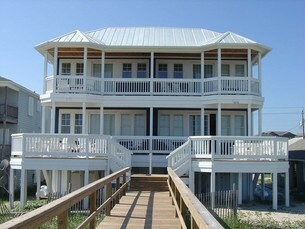 The third level has 3 bedrooms and 2 full baths, one with Jacuzzi tub. Outside shower. Parking for 3 cars. I called and asked for searches and these are the suggestions. I haven't looked yet. #c101 - Thear $1800 - Pets Allowed . Bedrooms: 3 Sleeps: 10 Baths: 2 full , 1 half. Beds: Bed #1 Queen Bed #2 Queen Bed #3 Tier Bunk ( Double & Twin) 2 Queen sofa sleepers. Coral Sea - Ocean view - Just because you are on vacation you can still enjoy the pleasures of home in this newly furnished 3 bedroom home. Bring the family and the four legged family member (kennel crates provided) for a week of sun, fun, relaxation or take a climb up the Widows Walk for a panaramic view of the Atlantic. The best of both worlds describes this four bedroom three bath home on the canal front that also has oceanviews.The main level features an opened kitchen/dining area,living room with a panorama view of the sound and boat marinas, home theater system,and one full bath. 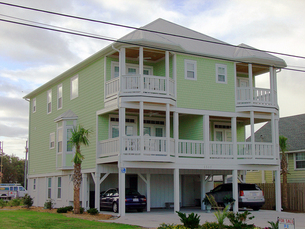 The upper level host all four bedrooms which three are canal front that includes the master suite with a private bath and one additional bedroom with oceanview and additional bath.